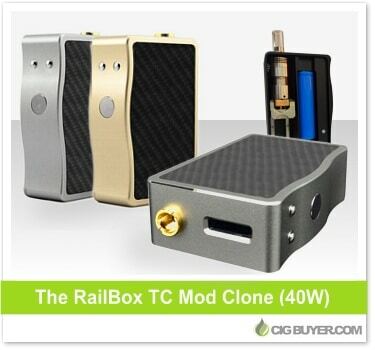 Based on the authentic Railbox Mod by Vape Tools (France), this Rail Box 40W Mod clone is a unique device offering 40W of power and temperature control. Powered by a single 18650 battery, it has a nice look with an aluminum and carbon fiber finish, but what really makes it unique is it’s ability to hide your atomizer inside the device. Just slide in a tank or atty as large as 24mm x 65mm, close the magnetic door and add your favorite 510 drip tip. It has an OLED screen on top, with all the standard functions and safety features.